Parker’s “Engineers See the World Differently” campaign won awards at the 2nd Annual American Business Awards (the “Stevies”) for “Best Television Ad Campaign” and “Best Television Spot“. A humorous nod to engineers who are always focused on their work. 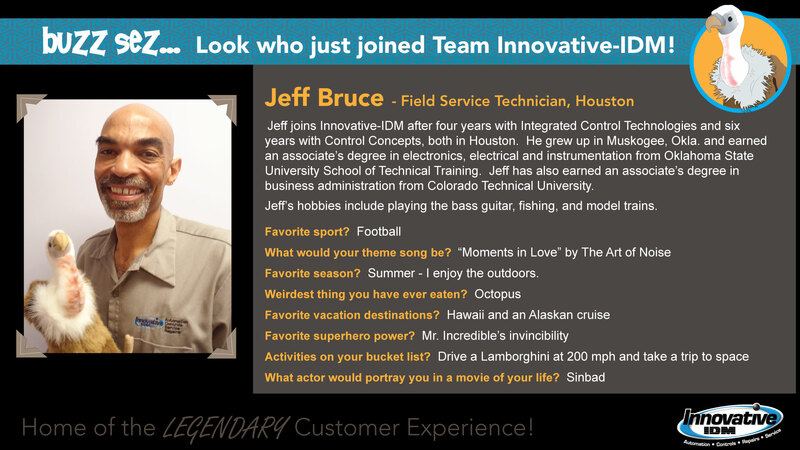 Join Buzz in welcoming Jeff Bruce to Innovative-IDM! Jeff joins Innovative-IDM after four years with Integrated Control Technologies and six years with Control Concepts, both in Houston. He grew up in Muskogee, Okla. and earned an associate’s degree in electronics, electrical and instrumentation from Oklahoma State University School of Technical Training. Jeff has also earned an associate’s degree in business administration from Colorado Technical University. Jeff’s hobbies include playing the bass guitar, fishing, and model trains. 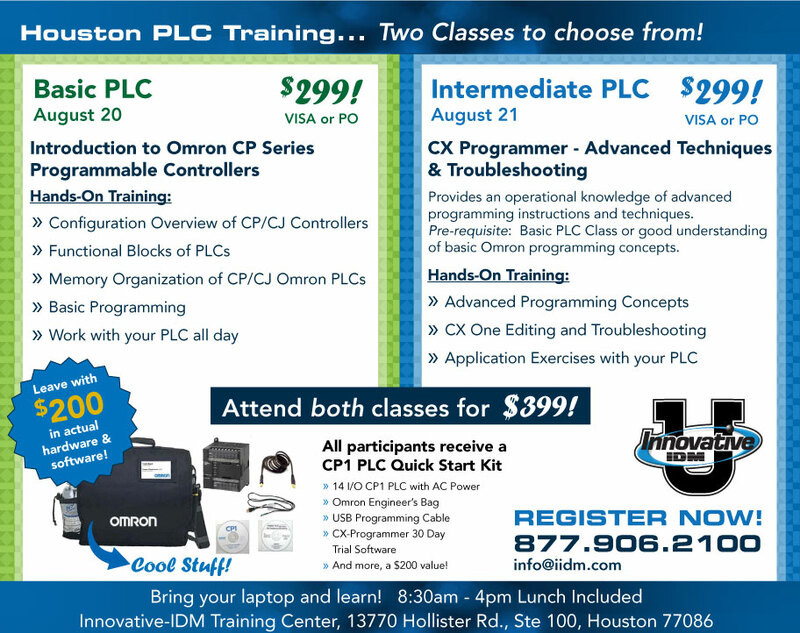 For all of your Omron STI needs call Innovative IDM at 877-906-2100 or send us an email at info@iidm.com. Cylindrical-body inductive proximity sensors in the new E2B range have been specifically developed to offer a cost-effective sensing solution in standard industrial conditions, making it unnecessary to pay more for sensors that provide features that are not needed. E2B sensors are manufactured using our innovative “hot-melt” production process, which allows them to offer exceptional value for money with no compromise in quality, performance or reliability. For more information or to order your SMC EX510 series, SI Unit contact Innovative-IDM at 877.906.2100 or send us an email at info@iidm.com. Demonstrates set up and configuration of an MP2300Siec demo case to run camming example code with MotionWorks IEC software. The code and demo operation is shown, and the resulting motion is explained and graphed. Shift, Offset, Scale and Dual Cam Swap (change cam table “on-the-fly”) are demonstrated. 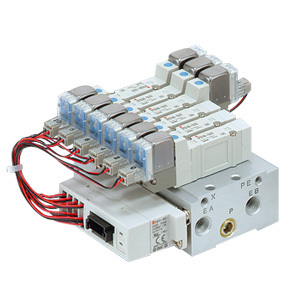 Demo program available (search yaskawa.com for document EC.MCD.09.108 and EC.MCD.09.109)..